A cry for help and comfort from God, asking that false accusers be brought to account. Offered in the morning at the temple, this prayer was probably uttered at the time of the regular morning sacrifice. Beset by false accusers who seek to destroy his standing in the community (w. 6, 8-9), the psalmist prays to his heavenly King (st. 1) in the assurance that God abhors those who lie and do evil (st. 2). In singing this psalm, we join the psalmist in asking God to lead us in right ways (st. 3), to call accusers to account for their malicious attacks (st. 4), and to protect all the godly who take refuge in the LORD-to their joy and God's praise (st. 5). Marie]. 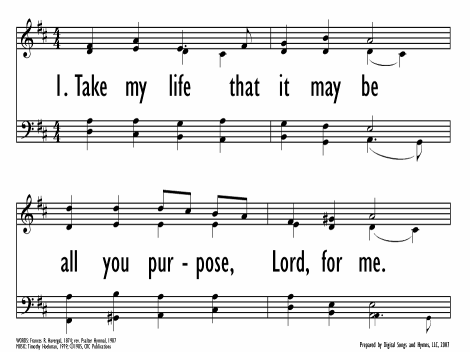 (Tuinstra) Post (b. Jenison, MI, 1919; d. Grand Rapids, MI, 1990) versified this psalm in 1983 for the Psalter Hymnal. While attending Dutch church services as a child, Post was first introduced to the Genevan psalms, which influenced her later writings. She attended Calvin College, Grand Rapids, Michigan, where she studied with Henry Zylstra. From 1940 to 1942 she taught at the Muskegon Christian Junior High School. For over thirty years Post wrote poetry for the Grand Rapids Press and various church periodicals. She gave many readings of her poetry in churches and schools and has been published in a number of journals and poetry anthologies. Two important collections of her poems are I Never Visited an Artist Before (1977) and the posthumous Sandals, Sails, and Saints (1993). A member of the 1987 Psalter Hymnal Revision Committee, Post was a significant contributor to its array of original texts and paraphrases. For morning worship, for times of persecution or slander; also for commemoration of Christ’s suffering at the hands of false accusers. Stanzas 1 and 5 are fitting as a choral introit or as a frame around a pastoral prayer. Timothy Hoekman composed TEBBEN in 1979 for the text "Take My Life and Let It Be", (288). See PHH 289 for more information on Hoekman and TEBBEN; the setting there is in a higher key.